There are a number of reasons for a person to ask about tooth whitening. Most adult teeth have some degree of discolouration caused by genetics, medications, age, food, or drink. Essentially, there are two types of bleaching – internal and external. Other options to whiten teeth include bonding, veneers or crowns, which can be discussed in more detail with our dentists. However, most people think immediately of bleaching when they are considering tooth whitening. Bleaching is designed to lighten the colour of your teeth. If done by the dentist, will not damage your teeth or gums. Significant lightening is achieved in most cases, but the actual results cannot be guaranteed. People with dark yellow or yellowish-brown teeth usually bleach better than people with grey or bluish-grey teeth. Multi-coloured teeth, especially if stained by tetracycline antibiotics, do not bleach very well. We recommend that you should discuss your treatment needs with the dentist so they can assess you and answer all your questions. We use Polar Office + which is a quick and easy application of the bleaching gel to whiten teeth. You can have whiter brighter teeth in about 60 minutes! This is done by the dentist in the surgery and is our patients most popular procedure. Polanight is a high viscosity, neutral pH tooth whitening gel. It is a pleasantly flavoured, crystal clear sustained release gel with a unique blend of soothers, conditioners and water content high enough to further reduce sensitivity. This type of bleaching involves wearing a custom-made bleaching tray, which you fill with the gel. 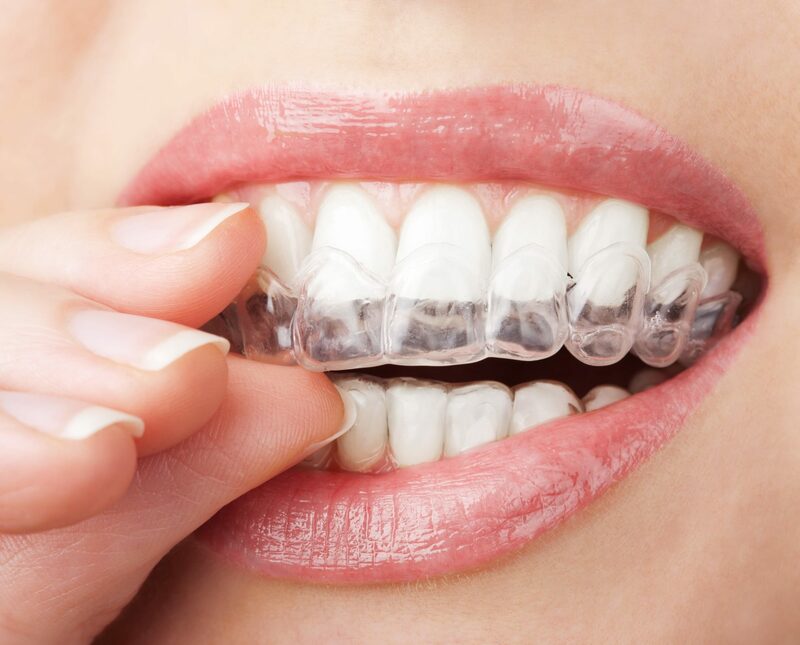 The bleaching tray is modelled on your own teeth so the fit is very comfortable. 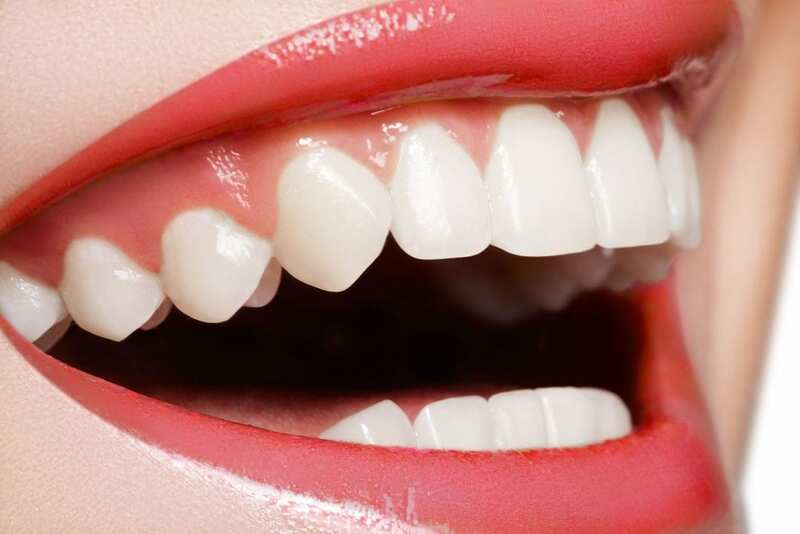 It changes the colour of the teeth from the outside in (external). It needs to be worn for 90 minutes a day for 5-14 days. You stop when you are happy with the colour. Most people simply wear it overnight or around the house. Home bleaching is convenient, is done in the comfort of your own home. The bleaching tray can be reused over time and you can order the gel refills if ever you want to touch up the colour. We advise that open cavities and badly leaking fillings have to be filled before bleaching starts. Also, that any existing tooth coloured fillings do not lighten with bleaching and is not suitable for pregnant women, or anyone under the age of 18. Not many people realise that there are other reasons that teeth can discolour and darken. In particular, trauma to teeth, (eg sports injury) can cause internal bleeding or perhaps a tooth that has been endodonticly treated in the distant past. After a darkened tooth has had root canal therapy, the patient may decide they want to whiten the tooth for cosmetic reasons. 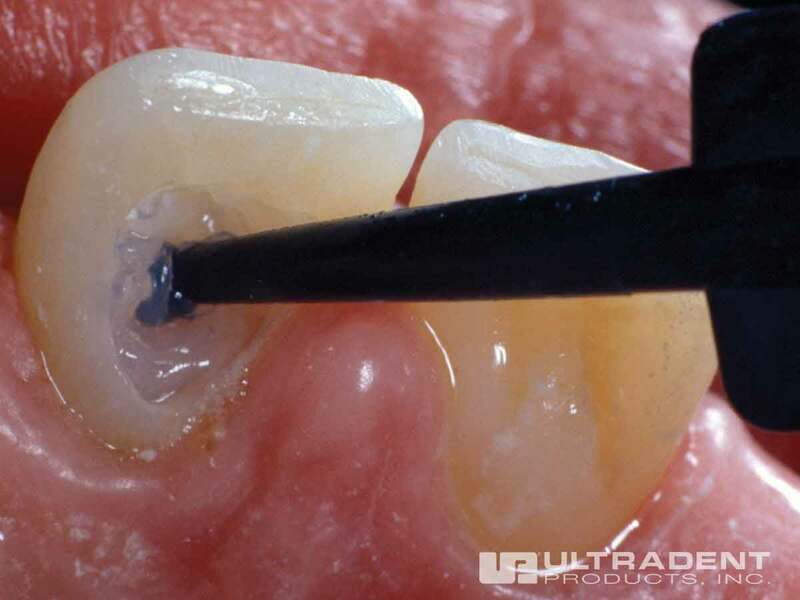 We use Ultradent Opalescence Endo to do this. This product is placed inside the discoloured tooth, bleaching from the inside out (internal). It may take a few visits to refresh the bleach, until the tooth becomes the desired colour. Then all the Opalescence Endo is flushed out and a final filling is placed. It is a very simple procedure, it causes no discomfort and the results are fantastic.